Transform the supermarket into a magical place you never knew existed with A Cart Full of Magic. 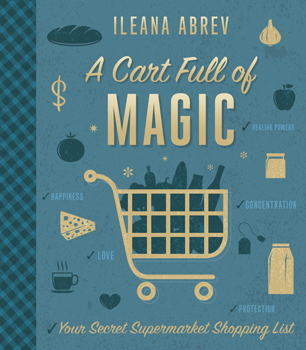 Ileana Abrev takes you down every aisle - inner and outer - of your local grocery store, providing detailed lists and explanations of how to use common items in your magical practice. You'll find spells and charms that only need simple and easy-to-find ingredients. Turn your weekly trip to the grocery store into a fun and magical experience that'll improve your emotional wellness, finances, love, and spiritual health. Ileana also guides you through the magical uses of non-food products, such as household and beauty items, hardware, and more. You'll even explore outside influences and techniques, such as blending energies, cleaning, color magic, moon phases and zodiac signs, and more.